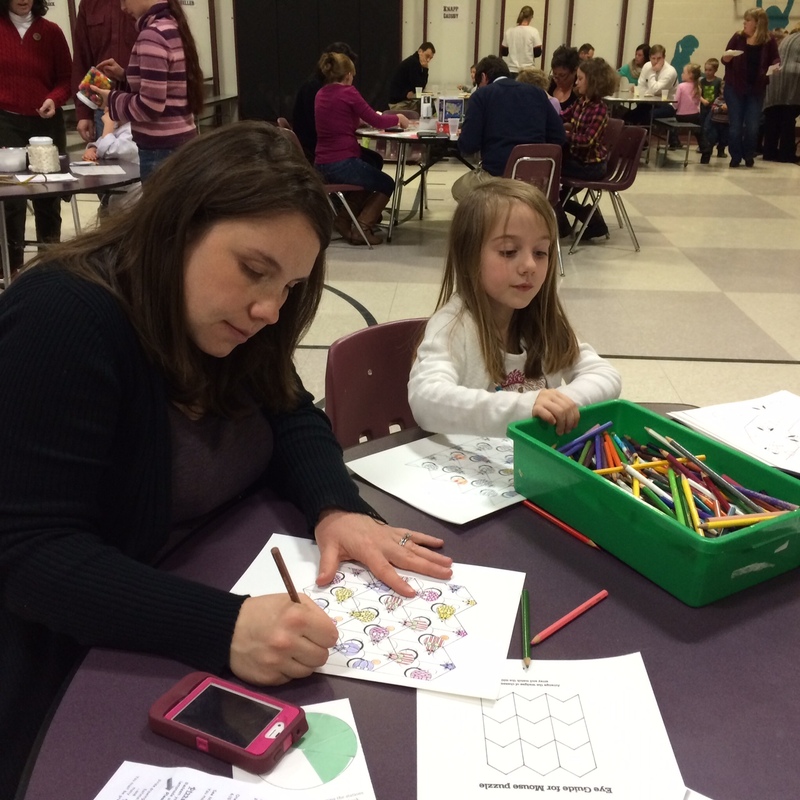 BFA recently hosted the first-ever Pi Night – a good reason to bring together families from the elementary for some fun math-related activities on a wintry Friday night. 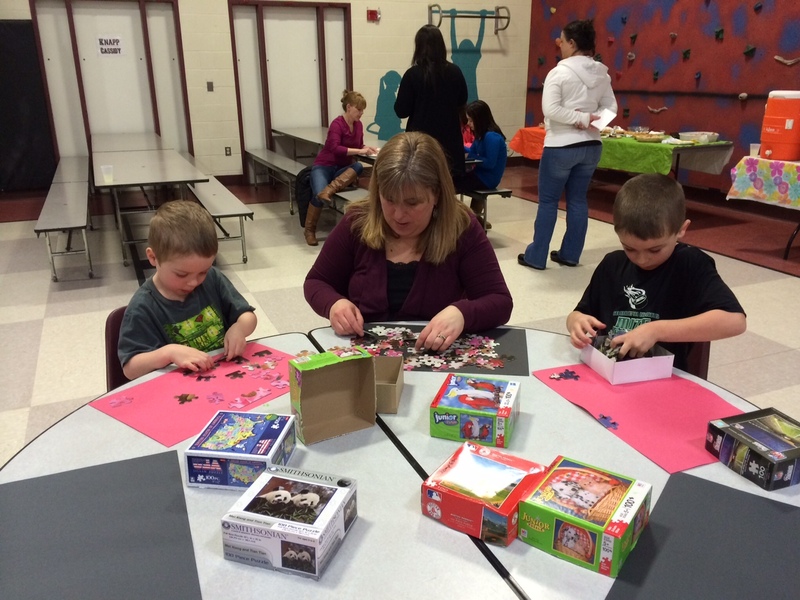 A variety of board games, card games, dice games, jigsaw puzzles, tangram puzzles, logic puzzles, and group games encouraged students and parents to play together! 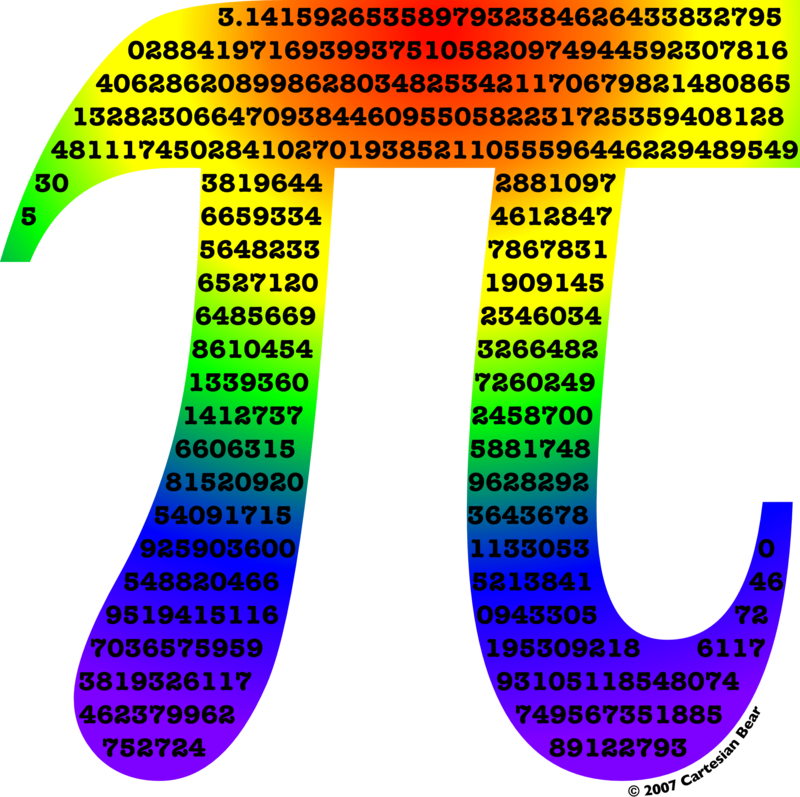 A Pi memorization contest, won by fifth grade student who was able to recite 47 digits of Pi! 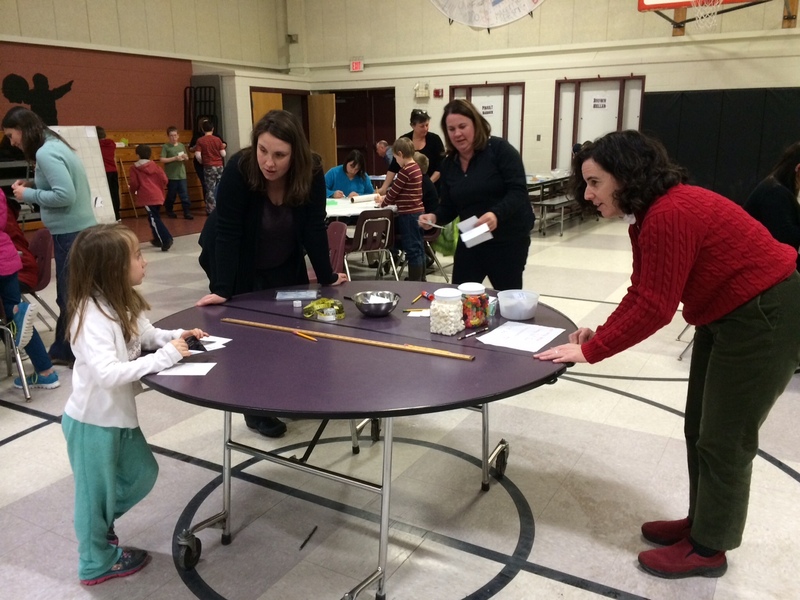 A measuring contest for the tallest family – students measured each member of their family in unifix cubes and plotted their heights on a line plot graph. 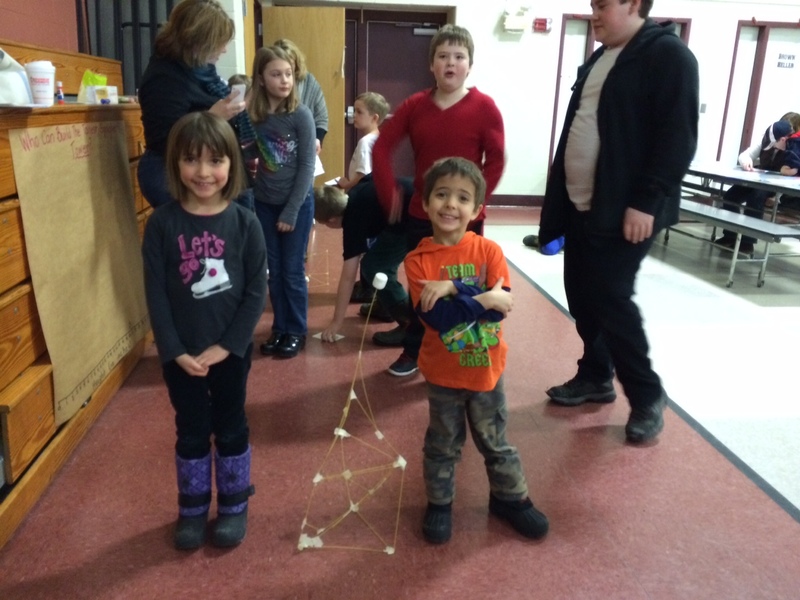 A spaghetti-tower building contest completed with plotted results. 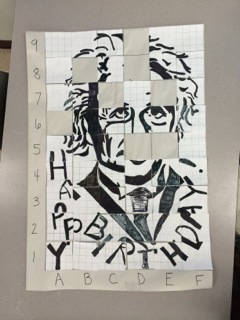 A scaling activity where each person enlarged a square to create a larger-than-life sketch of the birthday boy – Albert Einstein. 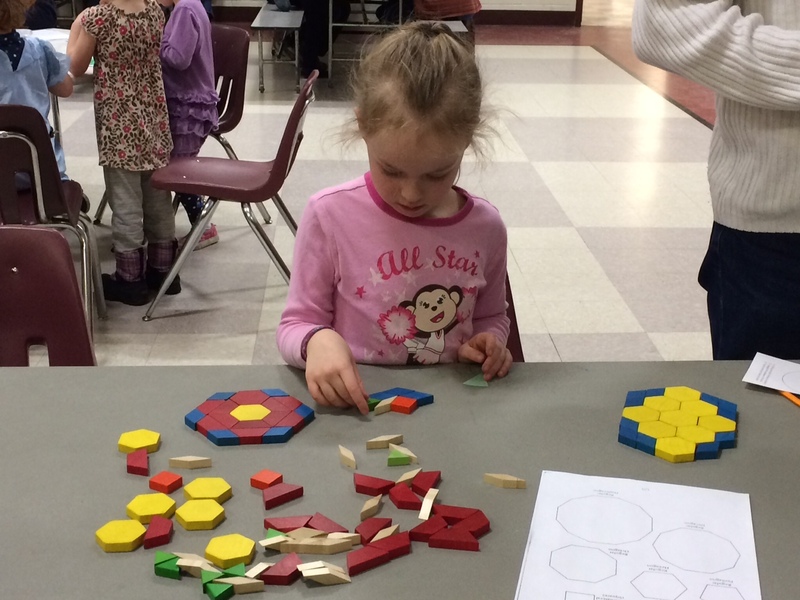 The BFA Elementary Math Team (Julie Filiberti, Mary Fitzgerald, and Paula Thompson) hosted the evening with help and participation of the Grade 3-5 Math teachers. And of course, there was plenty to eat – pizza pie and apple pie! 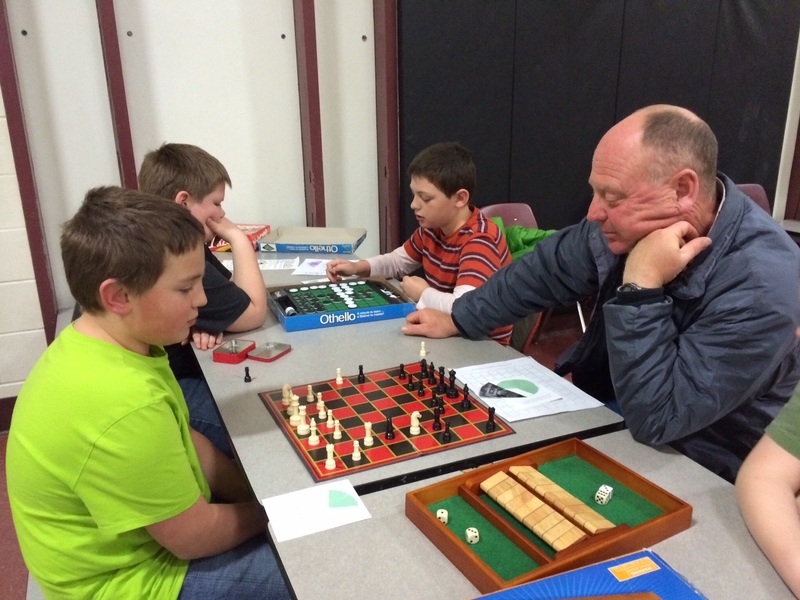 It was a fun night for all! 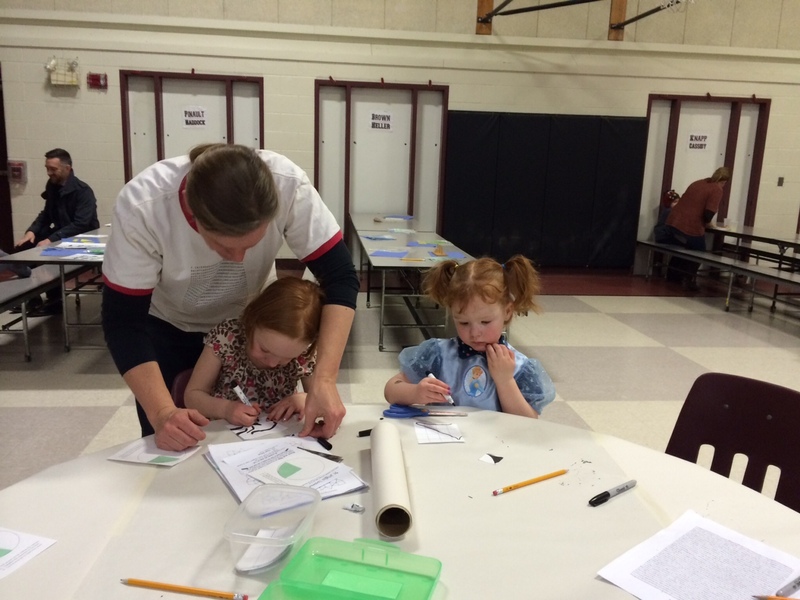 This entry was posted in BFA and tagged Student-Centered Learning by Franklin West SU. Bookmark the permalink.